Zerostat VT Spacer is a non-static small volume chamber which holds the medicine so that you have enough to inhale it comfortably. It allows the medicine to reach the lungs with minimal deposition in the mouth or throat. 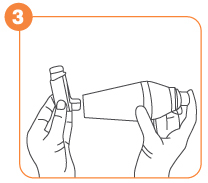 The transparent inhaler spacer is easy to use and allows you to obtain full benefits of the medicine. 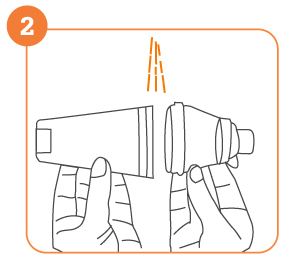 To assemble the Zerostat VT spacer, firmly push the two halves of the spacer together and rotate. 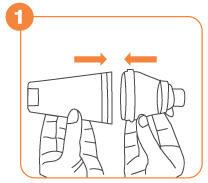 Remove the cap from the mouthpiece of the inhaler. Shake the inhaler well. 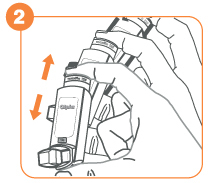 Insert the inhaler firmly into the opposite end of the Zerostat VT spacer. 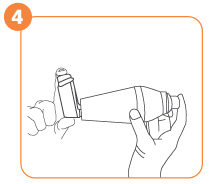 Holding the inhaler, press down on the canister to release a dose into the Zerostat VT spacer. Breathe out fully, through the mouth. 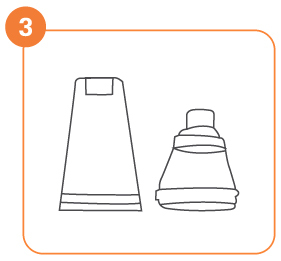 Immediately remove the mouthpiece cap from the Zerostat VT spacer and then close the lips firmly around the mouthpiece to create a good seal (do not bite it). Breathe slowly and deeply through the mouth, thus inhaling the medicine through the space. 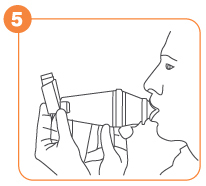 Remove the Zerostat VT spacer from the mouth and hold your breath for about 10 seconds, or as long as is comfortable. Breathe out normally. If a second dose is required, wait for a minute, repeat steps 2 to 5. 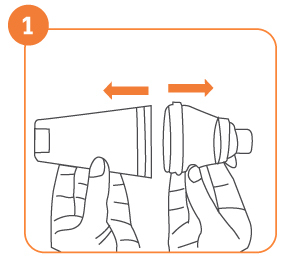 You can continue to use your Zerostat VT up to 6 months and then discard it and use a new one. Separate the two halves of the spacer by gently rotating and pulling them apart. 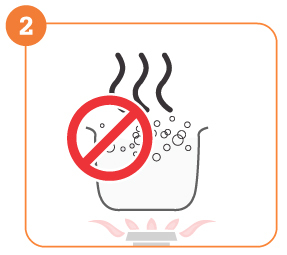 Rinse both halves in clean water and then shake to remove excess water. Wipe dry with soft cloth or leave it to air dry. 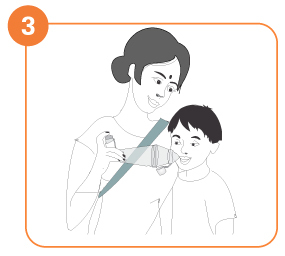 Children should use Zerostat VT Spacer under parental guidance.